The club gathers every month, and some of their artistry gets donated to injured veterans from the Iraq and Afghanistan wars. River Bend Nature Center in Caledonia has the honor of being home for the Wildlife Carving Club (now known as the River Bend Carving Club) of Southeast Wisconsin. On the third Thursday of each month, this talented group of people meets to further their art and enjoy each others company. 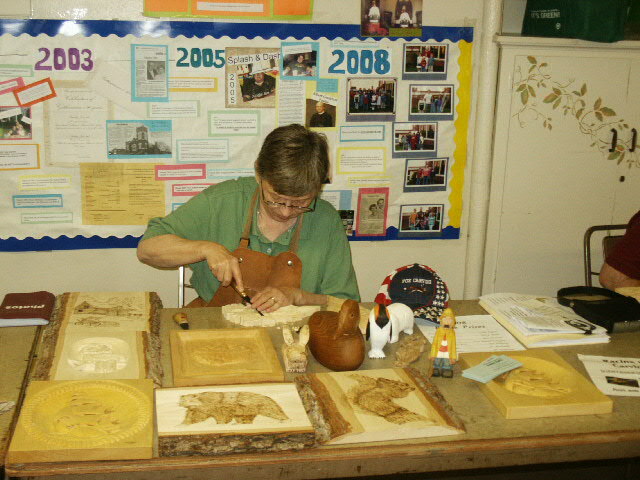 These carvers and pyrographers represent almost every community in the area from Kenosha and Union Grove, to Caledonia and Mt. Pleasant, and most of them have long histories of carving. Joyce Levandowski started in 1991, and worked at Woodcut's in Caledonia on 6-Mile and Green Bay Road for a number of years. "Working at Woodcut's just made me love wood carving even more," she said. 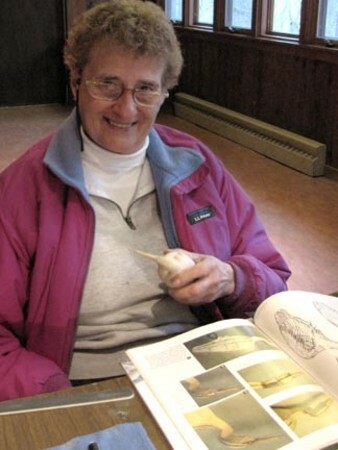 Joyce teaches classes for both Bong Recreation State Park and Fox Carving, a carving supply store. 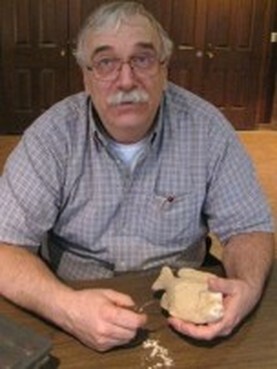 The owner, Paul Miller, is an active member in the group as well. Deb Szuhai is the resident expert in pyrographics, the art of burning images into wood, but she doesn't stop there. "I've been carving for about 16 years," she said. "I really like to do realistic water birds." A recently finished Loon sat nearby. 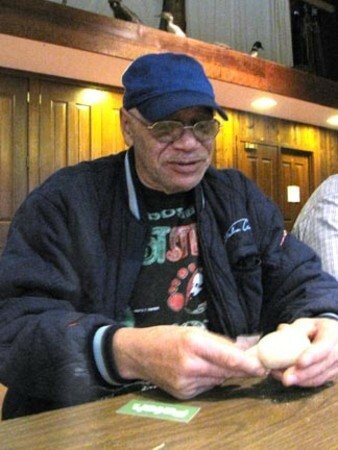 On the other side of the table sits Dewey Johnson, known for his hand-carved bowls from the knots of a tree, is working on an eagle head. "Eagle heads mean a lot to us," he said. About six years ago, Denny Bell, club secretary, introduced the club to a growing movement to provide injured veterans with a “Presentation Cane” as a small token of appreciation. These canes are decorative and each one has the Bald Eagle as the handle. "Each Eagle is hand carved," Bell said. "We've probably given over 130 of them to veterans and the families of deceased military around Wisconsin." The canes are free to any Wisconsin veteran who has suffered a leg injury in Iraq or Afghanistan, since the 9/11 incident, and now the giving has expanded to include the families of veterans who have lost their lives during the same time period. "If there's anyone out there who should have a cane, please let me know," Bell added. Anyone with an interest in carving is invited to join them next month on May 19th (3rd Thursday). Carving starts at 6 pm, club business starts a 7 pm, followed by more carving. If you know of someone who should receive a cane, call Denny Bell at 262-694-2293.